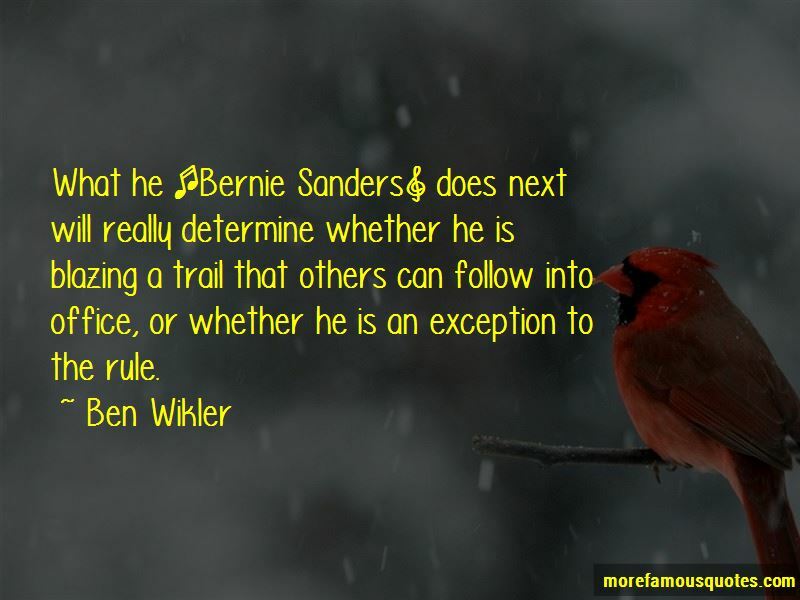 Enjoy the top 8 famous quotes, sayings and quotations by Ben Wikler. When [Bernie] Sanders was challenged about how he would pass his visionary ideas after he became president, he talked about if lawmakers look out the window and they see a million people marching, it changes their calculus. Well, here's an opportunity to continue working to organize these million people even if he is not the one in office. 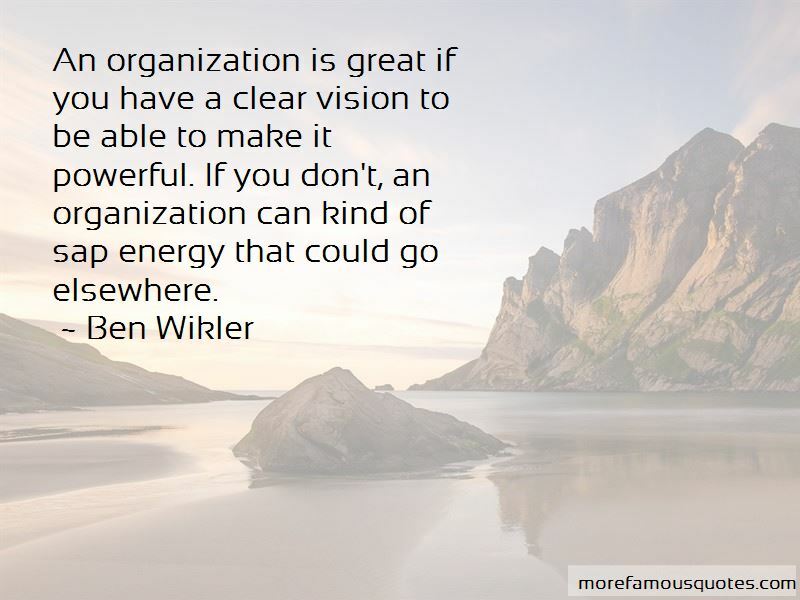 An organization is great if you have a clear vision to be able to make it powerful. If you don't, an organization can kind of sap energy that could go elsewhere. 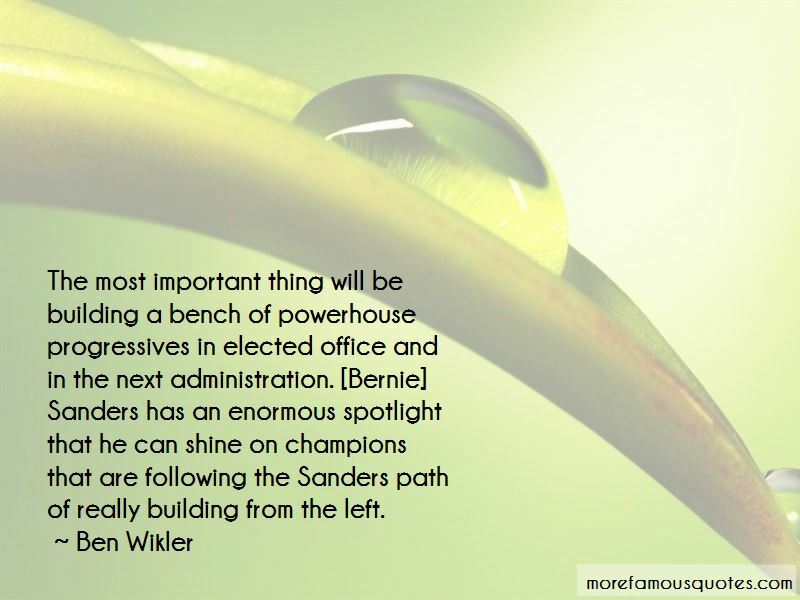 Want to see more pictures of Ben Wikler quotes? 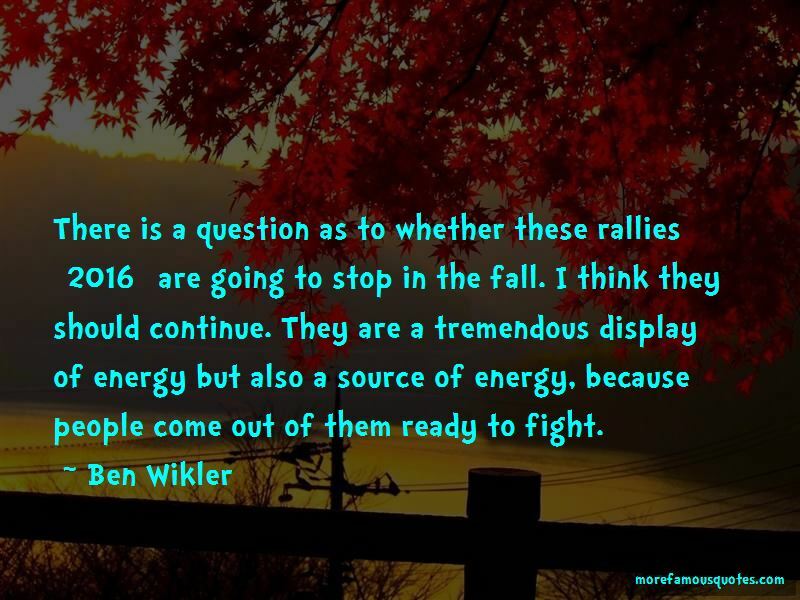 Click on image of Ben Wikler quotes to view full size.